Mountain State Press announces the publication of Buckle Up, Buttercup, a collection of short stories set in the mythical mountain setting of Hope County. Buckle Up, Buttercup may be purchased at the website of Mountain State Press or in bookstores, Tamarack, Amazon.com and Barnes & Noble. 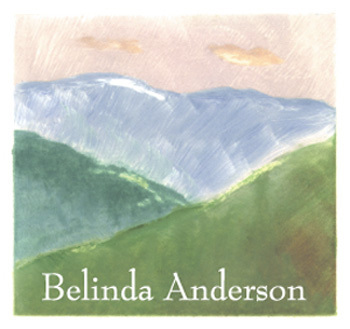 "With warmth and charm, Belinda Anderson creates a world that lingers long after the last page. Her characters aren't afraid to take up residence in the reader's mind and stay there; they are as real and recognizable as the flesh-and-blood people we know and love." "In this novel-in-stories, her third major publication, Belinda Anderson offers an attractive panoply of characters rich with nuance and diversity. At times I felt as if Ms. Anderson had moved the ghost of Edgar Lee Masters from Illinois to West Virginia to add that special Spoon River magic to her tale -- a compliment, indeed. Full of humor, under-stated romance, and unexpected suspense -- will the Driver's Ed vehicle really get obliterated? -- this book has something for everyone. But mostly what remains after reading it is a warmth of spirit in which readers with similarly empathetic hearts will take true comfort." The Storm, a Smithsonian notable book. 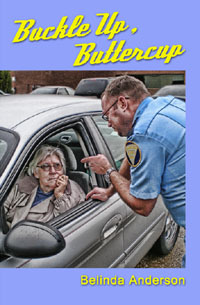 "Belinda Anderson's BUCKLE UP, BUTTERCUP is a book of linked stories that are solidly humanistic and hopeful They are not didactic in a preacherly way, but each one of them gives you a little lift, sometimes a chuckle, sometimes the satisfaction of a loser winning. In one story, for example, a boy named Seth is about to fail Driver's Ed but is taken under the wing of local police officer Paul Goshen, the character who ties the collections of stories together. Goshen is first seen as a wiseacre community college student, but he becomes a police officer whose great joy in life is just plain old helping people. He almost marries the wrong woman, and the woman he DOES marry is almost as wrong, but somehow, through several stories, in spite of repossessed cars and disappointment, his little family seems likely to make it together." Mountain State Press can be reached at (304) 357-4767. The e-mail address is msp1@mountainstatepress.org.